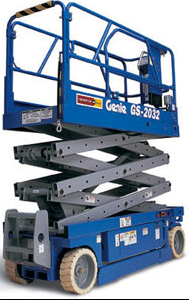 Elevated work platforms are a necessary part of industrial facilities, public works, and construction. 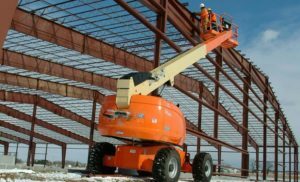 Elevated work platforms are required to clean, inspect, maintain, repair, and construct the ongoing workings of industry across the country and around the world. Using elevated work platforms outside of the manufacturer’s recommended parameters or exceeding the limit capacities will result in equipment failure that could have fatal results. 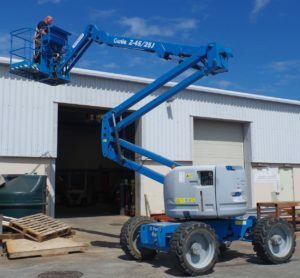 Knowing and understanding the equipment limitations, operating characteristics, and maintenance and inspection requirements of aerial work platforms will significantly reduce the risk of any accidental injury or personal damage associated with elevated lifts. The Trinity Safety Elevated work Platform training will inform students about the equipment limitations and characteristics they need to know to operate this type of equipment in a safe and productive manner. Emphasis will be placed on the specific responsibilities of Manufactures, Employers and supervisors where work with Elevated work platforms exist and the legislated responsibility of each operator. This course requires practical operation of and Elevated Work platform and students will be required to reach a height between 45 and 65 feet. Students are required to wear steal toed boots and dress for the season. 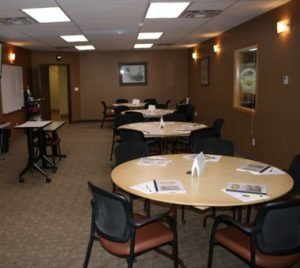 The work platforms used at Trinity Safety and Training are rented from Leavitt Equipment of Canada and are certified to the highest national standard. Students will operate platforms with 45’ to 65’ of reach.